In this course, you will develop hands on approaches to working with the pectoral (shoulder) girdle. We will explore various movement patterns with a thorough and in-depth approach which will give you the confidence to know what is happening under the skin of your clients and how to approach the stories that their bodies tell. In this class, we will learn palpation skills and discover principles to enable you to create your own dynamic approach to the ever changing body of your clients. With a strong focus on anatomy and the organization of connective tissue, this class will teach you a better sense of direction in how to approach your clients in a way that will encourage a sense of freedom and well-being in their lives. 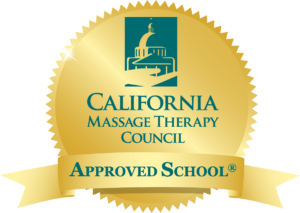 We will explore the relationship between the structures of the pectoral girdle and develop hands on, deep tissue techniques to encourage a sense of freedom in yourself and your clients. Gain the confidence to know what is happening under the skin and where various adhesions, and/or chronic tensions, are limiting movement. In this course, you will develop hands on approaches to working with the pelvic girdle. We will explore various movement patterns with a thorough and in-depth approach which will give you the confidence to know what is happening under the skin of your clients and how to approach the stories that their bodies tell. In this class, we will learn palpation skills and discover principles to enable you to create your own dynamic approach to the ever changing body of your clients. With a strong focus on anatomy and the organization of connective tissue, this class will teach you a better sense of direction in how to approach your clients in a way that will encourage a sense of freedom and well-being in their lives. We will explore the relationship between the structures of the pelvic girdle and develop hands on, deep tissue techniques to encourage a sense of freedom in yourself and your clients.